Balabam! Just like that South Tottenham has gained a fab new music venue / community pub / hangout. Both Stamford Hill and South Tottenham have an important and fascinating musical history (on which, more another time). So it is doubly fantastic for our area to play host to a venue that clearly puts the love of music so full-square at the centre of what it does. Not least after London has lost so many brilliant venues in recent years to “development”. Last weekend saw Balabam open, described by one Gladesmore resident as “absolutly brilliant!”. The line up looks to be forming day-by-day but it seems fair to expect more quality live music from around the world. This weekend alone features a pirate takeover, Mediterranean funk from Al-Maranca )“multi-instrumentalist, singer, composer, producer, video artist, cultural activist”), and the sounds of West Africa from Koroleko – Moussa Dembele. 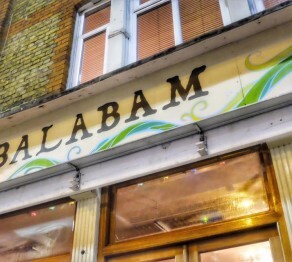 We’re expecting great things from this place… Keep an eye on Balabam’s FaceBook for the latest news. This entry was posted in Music in Tottenham and tagged Balabam, Music, Pubs, South Tottenham on September 15, 2017 by admin. South Tottenham station will be closed again for over a month from this Sunday. “There is still plenty of work that has to be done however. A number of support masts for the overhead wires are still needed east of South Tottenham, and as yet very few masts have the fittings from which the overhead wires are suspended. Then there is around 70 miles of various cables to be hung from the mast fittings. “Once the cables are energised and tested, electric trains will be able to start using the line. The electrification of our line is long overdue and this blog joined to campaign to make GOBLIN electrification happen. Once complete, it will double the current passenger capacity on the line and improve near-by air quality. This entry was posted in Transport and tagged GOBLIN electrification, London Overground, South Tottenham, South Tottenham station, Transport for London on September 14, 2017 by admin. 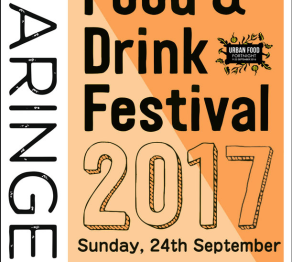 This year’s Haringey Food & Drink Festival will take place on Sunday 24 September on Tottenham Green. It will feature 40 Haringey Urban Food Producers, Growers, Breweries, Bakers, Cheese makers, Vegan & Street Food Stalls. Building on the ongoing success of the weekly Tottenham Green market, this year’s event follows the success of the Haringey Food & Drink Festival 2016 which featured Burger Bear, Tokunbo’s Kitchen, Angostura Steak House, The Green Bean Cafe, Tangy Tasty Thai, Tri Prana Smoothies, Wildes Cheese, Fruit Magpie, Crop Drop, Living Under One Sun, Tottenham Marshes Honey, Wolves Lane, Themptation, The Coco Den, From The Larder, Soflies Chips, Soleshare, Courture Surprices, Beavertown Brewery, Redemption Brewery, Longflint Craft Bottled Cocktails, The Wine Scouts, Craving Coffee, One Mile End Brewery, Wood Green Hopping, Wine Scouts, L’atypique Cidre, Vita Bio Italian Deli, Flour Station, The Greek Cafe, Bee Happier, Marsh Produce Ltd, Riverdale Organic Farm, Lemon & Ginger, Floral & Vintage, Natural Abundance, Spurs Health Stall, Start, Massage In Motion, and Silmar Taste. This year’s event promises a similar mix of live music, entertainment, DJs, fairground, workshops, mini beer festival, street food, Haringey producers and regular Tottenham Green market traders. This entry was posted in Food and tagged Haringey food festival, Street food, Tottenham Green Market on September 10, 2017 by admin. The results of the Autumn 2015 consultation on Crossrail 2 have been published this week. This new railway connecting London north-east to south-west could bring huge benefits to the local area as well as the wider metropolis. It will improve journey times across London, and ease congestion on the Victoria line. However some concerns had been raised of the impact of the line – and its construction – locally. 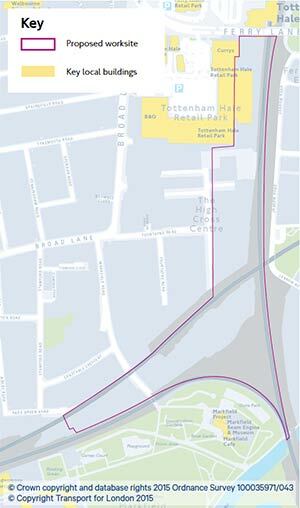 Of particular local interest is the plan to build a tunnel portal just south of Tottenham Hale. Around half of the 321 comments made with specific regard to building this tunnel entrance are classified as positive, including the comment that it would be “hugely beneficial”. Some 50 comments were made stating environmental/social concerns (section 3.88). Of these, 18 specifically stated that Markfield Park must be protected while 20 raised concern about wildlife and the surrounding environment. There were a further 20 comments stating concern about the impacts of construction on the local community (section 3.89). 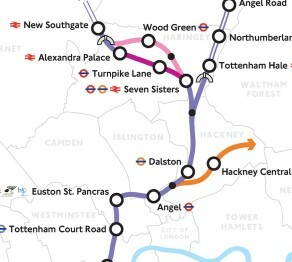 The report reflects a widespread support for Crossrail 2 at Seven Sisters. Over three quarters of the 770 responses were “supportive”. Many felt this station development at Seven Sisters would support local regeneration (section 3.96) and would ease pressure on the Victoria line (section 3.94). 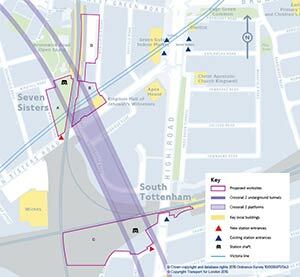 The current plan for Seven Sisters includes a Crossrail 2 entrance being added as part of South Tottenham station. 55 supportive comments expressed particular support for this link (section 3.95). Down the road in Stoke Newington opinion is more split on the proposals to demolish Morrisons and built a ventilation shaft (Table 3.15). Some raised suggestions that Stoke Newington have its own station instead, but this may well be unlikely to be added to plans at this stage. This entry was posted in Transport and tagged Crossrail 2, Markfield Park, Seven Sisters, South Tottenham station, Tottenham Hale on March 18, 2016 by admin. The case for the Crossrail 2 north-south rail link gets stronger every day. This proposed project is vital to provide improved public transport in London, and the plans feature welcome improved links for Tottenham Hale and Seven Sisters including South Tottenham station. But there remain crucial questions on its impact on local residents, both during and after construction. The latest plans were revealed this week and provide more detail in the form of a Crossrail 2 interactive consultation map. They make the option of a tunnel portal at Copper Mill Junction on Walthamstow Marshes less likely. This had caused much disquiet at the impact on this marvellous open space and its wildlife. However the proposed tunnel still emerges above ground to the SOUTH of Tottenham Hale, in a strip of land running northwards from behind the Markfield Beam Engine to Tottenham Hale station itself. It is unclear how great an impact this would have on the museum and Markfield Park itself – both during construction or after it. Construction would last several years, with the work site hugging the top of Markfield Park. This clearly raises potential questions about both noise and air pollution, and what would be done to ameliorate effects on users of the park and its popular café. Once built, the proposed train service includes a Crossrail 2 train every 4 minutes (or 15 trains an hour). These trains are big at over 200m long (two full-sized football pitches) and travel at up to 140 km/h (90 mph). If the tunnel does emerge here important questions are raised on reducing the impact of these trains hurtling by on both Markfield Park and residents of Jarrow Road and nearby. One issue that may continue to be raised by local residents and groups is: what consideration has been given to the tunnel emerging to the north of Tottenham Hale? This is an area which is more industrial in nature and so may be more suited. Also a continuation of the tunnel further north would go some way to solving the problem with level crossings on the line towards Broxbourne. 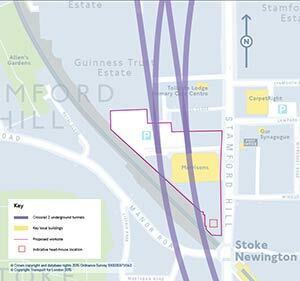 Meanwhile to the south, there is a proposal to build a two storey ventilation shaft near to Stoke Newington station. Construction would take around six years from start to finish.This would be a major work in itself, and the worksite appears to involve the demolition of the large Morrisons. 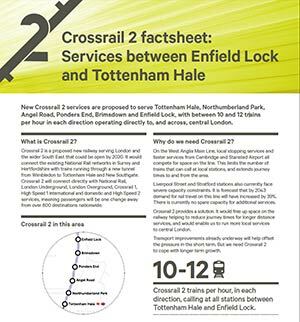 Visit www.crossrail2.co.uk to leave a comment or provide a response to the consultation questions. You can also contact the TfL helpline on 0343 222 0055 or write to Freepost Crossrail 2 Consultations. The consultation will close on Friday 8 January 2016. This entry was posted in Transport and tagged Crossrail 2, Markfield Park, Tottenham Hale, Transport for London, Walthamstow Marshes on October 30, 2015 by admin. South Tottenham station will get a major upgrade if the Crossrail 2 plan goes ahead, with a direct entrance to the new subterranean platforms for fast trains into central London and beyond. Once built, the proposed train service would provide a Crossrail 2 train every 4 minutes (or 15 trains an hour). Each train has the capacity to carry 1,500 passengers, being over 200m long (two full-sized football pitches) and can travel at up to 140 km/h (90 mph). The current plans include absorbing the (newly opened) South Tottenham entrance into a work site (“Site C”). 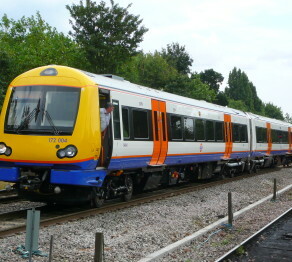 Local residents and others will need reassurances on South Tottenham Overground remaining open during the estimated five to eight year building schedule. This is a popular and much used station, an essential part of the local transport system. For instance, could the previous entrance (on the north side of the bridge) be put back into action during this time, or is it now obstructed? TfL have produced a guide to A typical Crossrail 2 station [PDF]. Meanwhile the Tottenham Hale branch of the Crossrail 2 would emerge from a tunnel near Markfield Park, crossing the existing Overground tracks. This entry was posted in Transport and tagged Crossrail 2, High Road, London Overground, Seven Sisters, South Tottenham station on October 30, 2015 by admin. 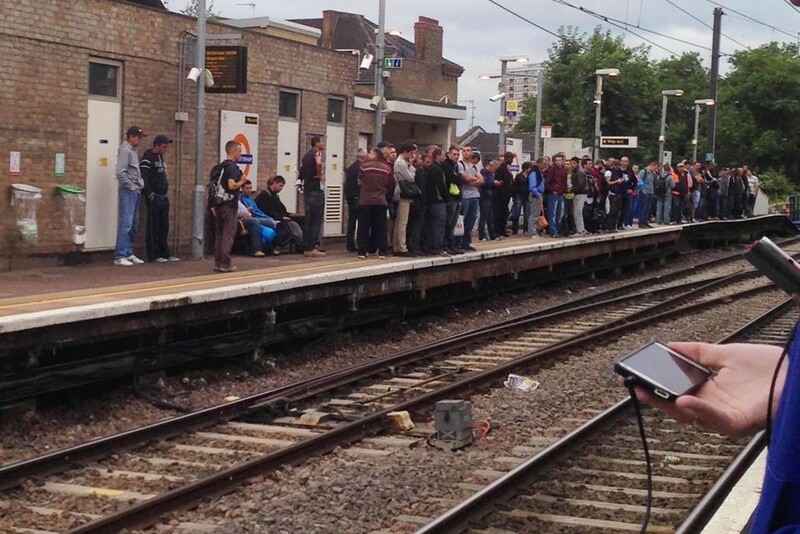 South Tottenham Overground station was overflowing by the time trains started this morning. The tube strike across London drove additional passengers onto what is already an overcrowded line. Meanwhile, elsewhere TfL was resorting to desperate measures to keep London moving. 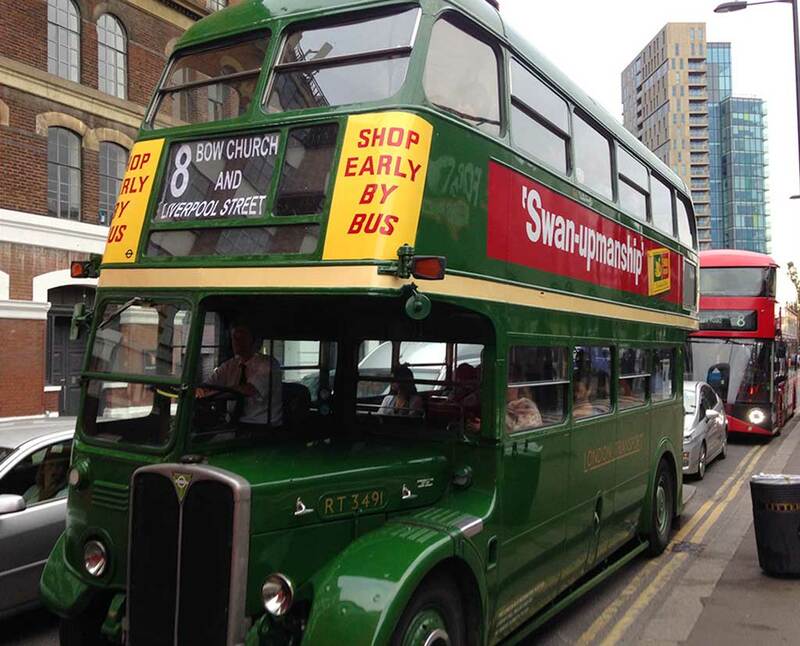 The streets of east London had the rare sight of a museum piece back plying its trade as a No. 8 bus. Was this what Boris meant when he promised to bring back the Routemaster? The strikes have brought together the four unions with members employed on the London Underground (LU), and more could follow as there is a mandate for continued industrial action until the dispute is resolved. Last night in the run up to the strike, the RMT union’s Mick Cash commented, “This dispute is not about money, it’s about being able to plan for and enjoy some downtime with friends and family away from work. The current plans wreck that and the unilateral issuing of the new rosters has simply inflamed the situation. 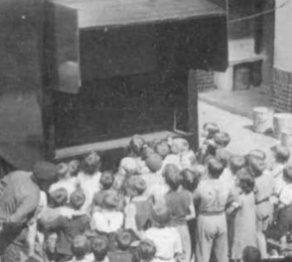 Local film history will be brought to life with a mobile cinema and he steam engine is in action at Markfield Beam Engine this Bank Holiday Monday. This entry was posted in Tottenham film club and tagged film, Markfield Park, River Lea on May 19, 2015 by admin. 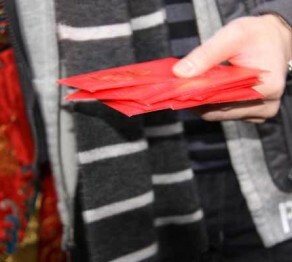 Celebrate Chinese New Year in Tottenham with a feast at Craving Coffee during the evening of Thursday 19 February. This entry was posted in Eating out and tagged Craving Coffee on February 5, 2015 by admin. 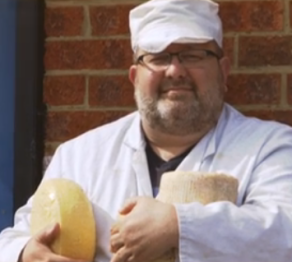 A recent episode of the BBC’s James Martin: Home Comforts features local cheese producers, Wildes Cheese. If you missed the broadcast, you can still catch up on iPlayer (below) until the middle of February. The cheeses range from Highcross (“salty, mild, creamy and crumbly”) to Smoked Londonshire (“soft and runny cheese held together by a white velvety coat”). The St Bruce brings another local on to the stage, being “given a regular drink of Redemption brewery’s Hopspur to create the coat”. They will even make Poutine Curds to order to help make the perfect hangover cure the day after too much Redemption. This entry was posted in Food and tagged Cheese, TV on February 2, 2015 by admin.